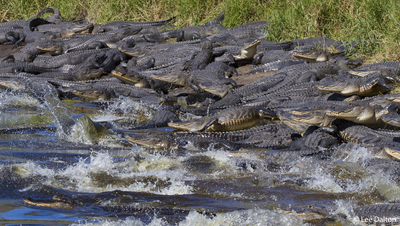 There's a place in the Bay Area where you can see hundreds of live alligators at one time if your timing is perfect. 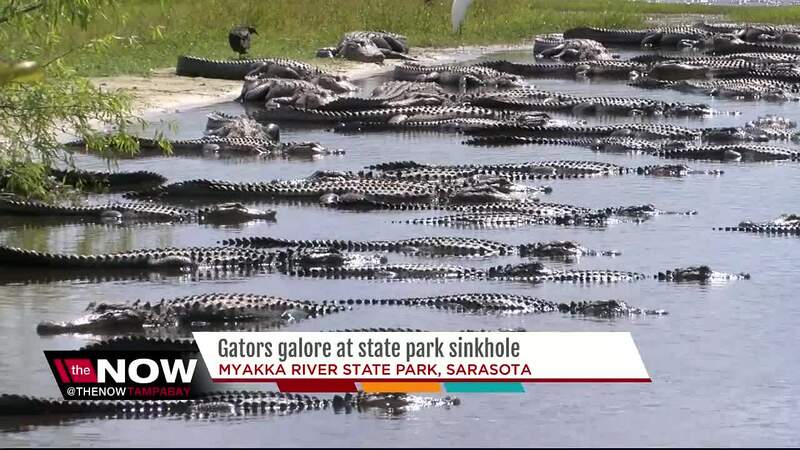 During the winter months in Sarasota, you can find up to hundreds of alligators along the banks of Deep Hole. This is a secluded area of Myakka River State Park where only 30 people can receive a permit daily to hike the area. Deep Hole is actually a sinkhole that is 200 feet wide and 130 feet deep. Hikers have to go through dry prairie trails and sand to get to the remote area of the park. Professional European photographer Lee Dalton captured these photos that went viral after they were published in a magazine. Dalton tells us he is now back home in Europe, but was living in Florida in 2014 when he captured photographs of the wild alligators. "That particular year there were a few more alligators than your typical year because there were so many dead fish," said Dalton. 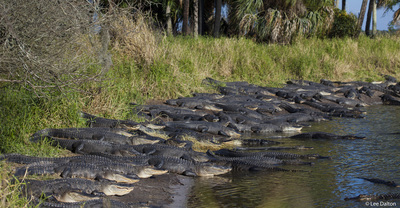 You can only capture the alligators gathering along the banks during the winter months when the water is colder. They usually leave the area before April, which is mating season. "We do require you to have a permit, and you have to keep that permit in your hand and at all times while you're out here," said Florida Park Ranger Terrance Torvund. Torvund estimates they have 1,000 to 3,000 people a day through the state park.